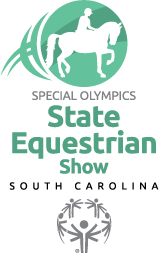 For the second year, the Aiken Horse Park Foundation will host the Special Olympics South Carolina State Equestrian Show. Athletes from around South Carolina will compete in various events. Equestrian is just one of the 26 sports that Special Olympics South Carolina offers. Currently we have 10 stables participating and more than 30 riders.